HomeBlogChargersDoes Google nexus 5 and 5x support wireless charging? Does Google nexus 5 and 5x support wireless charging? Google released Nexus 5x in October 2015 and although it burst on the scene with a lot of nice features, it didn’t have the wireless charging feature of Google’s last three Nexus phones (Nexus 4, Nexus 5, and Nexus 6). So, Nexus 5x does not have built-in wireless charging while Nexus 5 does. That doesn’t mean Google Nexus 5x can’t be charged wirelessly. Later on that, but first let’s discuss why Google has removed the wireless charging feature from its latest Nexus models. The in-built Nexus 5 wireless charging feature has been omitted from its latest models such as Nexus 5x (N5x) and Nexus 6p (N6P). This has raised too many questions not only amongst its users but also has amazed the tech gurus. So, what has prompted Google for such a decision? The engineers behind the design of Google Nexus (n) series decided to remove the in-built wireless charging feature from the two new models as it would have distorted the shape of the smartphone, which was its USP. Not only this, they also thought that it was time to introduce USB type-C port, with a reversible connector, among the masses as the older designed port causes hassle when plugging-in the cable. This new cable port speeds up the charging process; so keeping the design intact, with easier plug-in option and fast charging prompted the designers and engineers behind Nexus 5x and 6p to remove the wireless charging feature from the phone. It’s interesting while the tech-world is moving towards wire-free connections, Google decided to revert to cables to deliver fast charging times. Can you still charge Google Nexus 5x and 6p wirelessly if they don’t have built-in capability? You can convert your Google nexus 5x to charge wirelessly. For this you need to equip yourself with the right kind of accessories. So with these certain steps you can have an idea how wireless charging can be introduced in those phone that do not have built-in wireless charging capabilities. Buy a wireless receiver that is compatible with Google Nexus 5x: A wireless charging receiver which type C port is a preferable option. This will give the phone fast wireless charging. 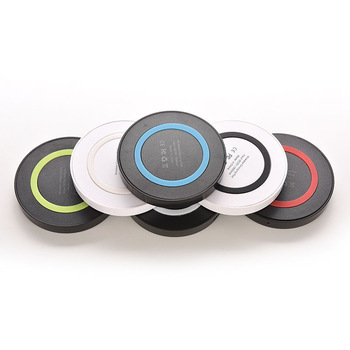 You can easily get this wireless charging receiver from Gizmoist. Attach the USB type C adapter:Use the one that comes with the wireless charging receiver pad on which you can set your phone. 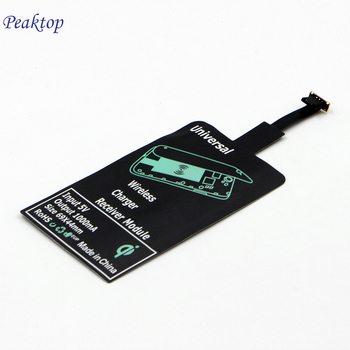 The most suitable is Qi compatible receiver pad that supports most of the Android phones and iPhones. Place it on the Qi-compatible wireless charging pad that is compatible with the Google Nexus. You can purchase it from Gizmoist as it is compatible with both Samsung and IPhone 8. The Google Nexus 5X and 6P do not have a built in wireless charging. So, these adapters can either get attached to the USB C port of the phone or sit between the phone and the charging case. In this way they can support wireless charging in Google Nexus. Size: the ultra-thin model could not support the standard wireless port due to its thickness. Adjustment: the USB-C connector allows you to insert cable either way without damaging the port. Speed: it not only speeds up the charging process but also allows transfer of data with lightning speed; 10 Gb per second! Power: it can also charge high power devices such as laptop of up to 100 watts. Flexibility: you can connect older devices to the type-C ports through adapters. No matter how much charging speed the USB-C connector offers, the N series users still misses the in-built wireless feature in the latter models. Wireless charging is a major goal in the dawn of recent technology; it may be gone for this round of Nexus phones such as N5x but we hope for it to be back soon. In any Qi compatible phone wireless charging begins to work through an electromagnetic field that is created between the coil in the smartphone and coils in the charging pad. With the energy produced the flow of electrons from one device to another initiate wireless charging. So, for Google Nexus, the wireless charging receiver becomes a medium through which wireless signals can easily be transferred to it from the wireless charging pad. However, wireless charging may deplete the battery life because it differs significantly from charging through the port. Charging through plug in may give the phone a break as you can easily get an alert of a low battery. With wireless charging this isn’t the case. There is a continuous use of battery with data transfer and background downloading. As a result the battery is stressed leading to its reduced life span. Why my IPhone7 is charging slowly but draining quickly and how to fix it?